Wilmington, Delaware is the incorporation capital of the United States. Delaware has largely abolished ultra vires in relation to corporations under the Delaware General Corporation Law. Ultra vires is a Latin phrase meaning "beyond the powers". If an act requires legal authority and it is done with such authority, it is characterised in law as intra vires ("within the powers"). If it is done without such authority, it is ultra vires. Acts that are intra vires may equivalently be termed "valid" and those that are ultra vires "invalid". Companies and other legal persons sometimes have limited legal capacity to act, and attempts to engage in activities beyond their legal capacity may be ultra vires. Most countries have restricted the doctrine of ultra vires in relation to companies by statute. A legal person is any human or non-human entity, in other words, any human being, firm, or government agency that is recognized as having privileges and obligations, such as having the ability to enter into contracts, to sue, and to be sued. In corporate law, ultra vires describes acts attempted by a corporation that are beyond the scope of powers granted by the corporation's objects clause, articles of incorporation or in a clause in its Bylaws, in the laws authorizing a corporation's formation, or similar founding documents. Acts attempted by a corporation that are beyond the scope of its charter are void or voidable. An objects clause is a provision in a company's constitution stating the purpose and range of activities for which the company is carried on. In UK company law, until reforms enacted in the Companies Act 1989 and the Companies Act 2006, an objects clause circumscribed the capacity, or power, of a company to act. To avoid problems, long and unwieldy 'catch-all' objects clauses were often drafted to include as much potential activity as possible, and thus avoid dealings being found to be ultra vires: the legal position was that any contract entered into beyond the power, or ultra vires, would be deemed void ab initio. Articles of incorporation, also referred to as the certificate of incorporation or the corporate charter, are a document or charter that establishes the existence of a corporation in the United States and Canada. They generally are filed with the Secretary of State or other company registrar. In law, void means of no legal effect. An action, document, or transaction which is void is of no legal effect whatsoever: an absolute nullity — the law treats it as if it had never existed or happened. The term void ab initio, which means "to be treated as invalid from the outset," comes from adding the Latin phrase ab initio as a qualifier. 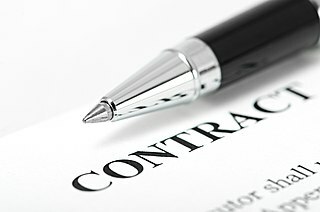 For example, in many jurisdictions where a person signs a contract under duress, that contract is treated as being void ab initio. The frequent combination "null [Latin origin] and void [Germanic origin]" is a legal doublet. An ultra vires transaction cannot be ratified by shareholders, even if they wish it to be ratified. The doctrine of estoppel usually precluded reliance on the defense of ultra vires where the transaction was fully performed by one party. A fortiori , a transaction which was fully performed by both parties could not be attacked. If the contract was fully executory, the defense of ultra vires might be raised by either party. If the contract was partially performed, and the performance was held to be insufficient to bring the doctrine of estoppel into play, a suit for quasi-contract for recovery of benefits conferred was available. If an agent of the corporation committed a tort within the scope of his or her employment, the corporation could not defend on the ground the act was ultra vires. Several modern developments relating to corporate formation have limited the probability that ultra vires acts will occur. Except in the case of non-profit corporations (including municipal corporations), this legal doctrine is obsolescent; within recent years, almost all business corporations are chartered to allow them to transact any lawful business. The Model Business Corporation Act of the United States states that: "The validity of corporate action may not be challenged on the ground that the corporation lacks or lacked power to act." The doctrine still has some life among non-profit corporations or state-created corporate bodies established for a specific public purpose, such as universities or charities. In law, desuetude is a doctrine that causes statutes, similar legislation, or legal principles to lapse and become unenforceable by a long habit of non-enforcement or lapse of time. It is what happens to laws that are not repealed when they become obsolete. It is the legal doctrine that long and continued non-use of a law renders it invalid, at least in the sense that courts will no longer tolerate punishing its transgressors. The Model Business Corporation Act (MBCA) is a model set of law prepared by the Committee on Corporate Laws of the Section of Business Law of the American Bar Association and is followed by twenty-four states. It has been influential in shaping standards for United States corporate law. The memorandum of association of a company is an important corporate document in certain jurisdictions. It is often simply referred to as the memorandum. In the UK, it has to be filed with the Registrar of Companies during the process of incorporating a company. It is the document that regulates the company’s external affairs, and complements the articles of association which cover the company's internal constitution. It contains the fundamental conditions under which the company is allowed to operate. Until recently it had to include the "objects clause" which let the shareholders, creditors and those dealing with the company know what is its permitted range of operation, although this was usually drafted very broadly. It also shows the company's initial capital. It is one of the documents required to incorporate a company in India, the United Kingdom, Ireland, Canada, Nigeria, Nepal, Bangladesh, Pakistan, Afghanistan, Sri Lanka, and Tanzania and is also used in many of the common law jurisdictions of the Commonwealth. The position was changed by statute by the Companies Act 1985 which largely abolished the doctrine in relation to commercial companies. The position is now regulated by the Companies Act 2006, sections 31 and 39, which similarly greatly reduces the applicability of ultra vires in corporate law, although it can still apply in relation to charities and a shareholder may apply for an injunction, in advance only, to prevent an act which is claimed to be ultra vires. The Companies Act 2006 is an Act of the Parliament of the United Kingdom which forms the primary source of UK company law. It had the distinction of being the longest Act in British Parliamentary history: with 1,300 sections and covering nearly 700 pages, and containing 16 schedules but it has since been surpassed, in that respect, by the Corporation Tax Act 2009. An injunction is a legal and equitable remedy in the form of a special court order that compels a party to do or refrain from specific acts. "When a court employs the extraordinary remedy of injunction, it directs the conduct of a party, and does so with the backing of its full coercive powers." A party that fails to comply with an injunction faces criminal or civil penalties, including possible monetary sanctions and even imprisonment. They can also be charged with contempt of court. Counterinjunctions are injunctions that stop or reverse the enforcement of another injunction. According to Article 15.2 of the Irish constitution, the Oireachtas (parliament) is the sole lawmaking body in the Republic of Ireland. In the case of CityView Press v AnCo , however, the Irish Supreme Court held that the Oireachtas may delegate certain powers to subordinate bodies through primary legislation, so long as these delegated powers allow the delegatee only to further the principles and policies laid down by the Oireachtas in primary legislation and not craft new principles or policies themselves. Any piece of primary legislation that grants the power to make public policy to a body other than the Oireachtas is unconstitutional; however, as there is a presumption in Irish constitutional law that the Oireachtas acts within the confines of the Constitution, any legislation passed by the Oireachtas must be interpreted in such a way as to be constitutionally valid where possible. Thus, in a number of cases where bodies other than the Oireachtas were found to have used powers granted to them by primary legislation to make public policy, the impugned primary legislation was read in such a way that it would not have the effect of allowing a subordinate body to make public policy. In these cases, the primary legislation was held to be constitutional, but the subordinate or secondary legislation, which amounted to creation of public policy, was held to be ultra vires the primary legislation and was struck down. 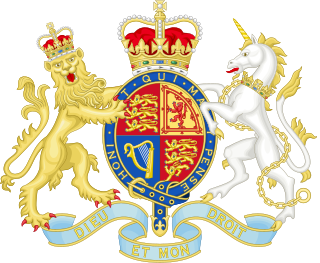 In UK constitutional law, ultra vires describes patents, ordinances and the like enacted under the prerogative powers of the Crown that contradict statutes enacted by the Crown-in-Parliament. Almost unheard of in modern times, ultra vires acts by the Crown or its servants were previously a major threat to the rule of law. In administrative law, an act may be judicially reviewable for ultra vires in a narrow or broad sense. Narrow ultra vires applies if an administrator did not have the substantive power to make a decision or it was wrought with procedural defects. Broad ultra vires applies if there is an abuse of power (e.g., Wednesbury unreasonableness or bad faith) or a failure to exercise an administrative discretion (e.g., acting at the behest of another or unlawfully applying a government policy) or application of discretionary powers in irrational and wrong way. Either doctrine may entitle a claimant to various prerogative writs, equitable remedies or statutory orders if they are satisfied. In the seminal case of Anisminic v Foreign Compensation Commission ,  Lord Reid is accredited with formulating the doctrine of ultra vires. However, ultra vires, together with unreasonableness, was mentioned much earlier by Lord Russell in the well known case, Kruse v Johnson ,  regarding challenging by-laws and other rules. Anisminic is better known for not depriving courts of their jurisdiction to declare a decision a nullity, even if a statute expressly prevents the decision being subject to judicial review. Further cases such as Bromley LBC v Greater London Council  and Council of Civil Service Unions v Minister for the Civil Service  have sought to refine the doctrine. In Hammersmith and Fulham London Borough Council v Hazell  the House of Lords held that interest rate swaps entered into by local authorities (a popular method of circumventing statutory restrictions on local authorities borrowing money at that time) were all ultra vires and void, sparking a raft of satellite litigation. ↑ Evelina Munteanu (25 November 2014). "Top 5 US States For Company Formations". Inc Plan (USA). Retrieved 7 November 2017. ↑ Francis Pileggi (4 September 2012). "Abolishment of Ultra Vires Doctrine with Exceptions" . Retrieved 7 November 2017. ↑ United States v. Lopez , 514 U.S. 549, 567 (1995). Administrative law is the body of law that governs the activities of administrative agencies of government. Government agency action can include rule making, adjudication, or the enforcement of a specific regulatory agenda. Administrative law is considered a branch of public law. As a body of law, administrative law deals with the decision-making of the administrative units of government that are part of a national regulatory scheme in such areas as police law, international trade, manufacturing, the environment, taxation, broadcasting, immigration and transport. Administrative law expanded greatly during the twentieth century, as legislative bodies worldwide created more government agencies to regulate the social, economic and political spheres of human interaction. Pith and substance is a legal doctrine in Canadian constitutional interpretation used to determine under which head of power a given piece of legislation falls. The doctrine is primarily used when a law is challenged on the basis that one level of government has encroached upon the exclusive jurisdiction of another level of government. Ontario (AG) v Canada (AG), also known as the Local Prohibition Case, is a famous Canadian constitutional decision by the Judicial Committee of the Privy Council, being one of the first cases to enunciate core principles of the federal peace, order and good government power. A plenary power or plenary authority is a complete and absolute power to take action on a particular issue, with no limitations. 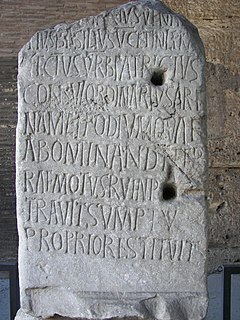 It is derived from the Latin term plenus ("full"). Multiple Access Ltd v McCutcheon is a leading constitutional decision of the Supreme Court of Canada on the resolution of overlapping federal and provincial laws under the doctrine of double aspect. Anisminic Ltd v Foreign Compensation Commission  UKHL 6 is a UK constitutional law case from the House of Lords in English administrative law. It established the "collateral fact doctrine", that any error of law made by a public body will make its decision a nullity and that a statutory exclusion clause does not deprive the courts from their jurisdiction in judicial review unless it expressly states this. Judicial review in English law enables people to challenge the exercise of power, often by a public body. A person who feels that an exercise of power is unlawful may apply to the Administrative Court for a court to decide whether a decision followed the law. If the court finds the decision unlawful it may have it set aside (quashed) and possibly award damages. A court may impose an injunction upon the public body. 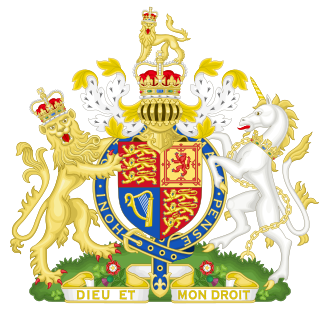 United Kingdom administrative law is a branch of UK public law concerned with the composition, procedures, powers, duties, rights and liabilities of public bodies that administer public policies. The general principle is that a public official, or an "administrator must act fairly, reasonably and according to the law. That is the essence and the rest is mainly machinery." British Coal Corp v R is a decision of the Judicial Committee of the Privy Council in which the authority of the Canadian Parliament to prohibit appeals to the JCPC in criminal cases was upheld. Rolled Steel Products (Holdings) Ltd v British Steel Corp  Ch 246 is a UK company law case, concerning the enforceability of obligations against a company. The case was one of the last significant cases on ultra vires under English company law before the provisions abrogating that doctrine in the Companies Act 1985 became effective. Attribution of liability to United Kingdom companies involves the rules of contract, agency, capacity, tort and crime as they relate to UK company law. They establish under what circumstances a company may be sued for the actions of its directors, employees and other agents. Fettering of discretion by a public authority is one of the grounds of judicial review in Singapore administrative law. It is regarded as a form of illegality. An applicant may challenge a decision by an authority on the basis that it has either rigidly adhered to a policy it has formulated, or has wrongfully delegated the exercise of its statutory powers to another body. If the High Court finds that a decision-maker has fettered its discretion, it may hold the decision to be ultra vires – beyond the decision-maker's powers – and grant the applicant a suitable remedy such as a quashing order to invalidate the decision. South African administrative law is the branch of public law in that country which regulates the legal relations of public authorities, whether with private individuals and organisations or with other public authorities, or better say, in present-day South Africa, which regulates "the activities of bodies that exercise public powers or perform public functions, irrespective of whether those bodies are public authorities in a strict sense." According to the Constitutional Court, administrative law is "an incident of the separation of powers under which the courts regulate and control the exercise of public power by the other branches of government." 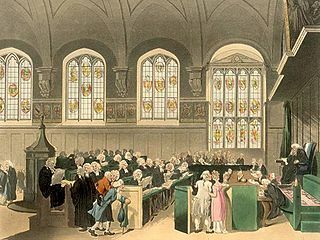 An ouster clause or privative clause is, in countries with common law legal systems, a clause or provision included in a piece of legislation by a legislative body to exclude judicial review of acts and decisions of the executive by stripping the courts of their supervisory judicial function. According to the doctrine of the separation of powers, one of the important functions of the judiciary is to keep the executive in check by ensuring that its acts comply with the law, including, where applicable, the constitution. Ouster clauses prevent courts from carrying out this function, but may be justified on the ground that they preserve the powers of the executive and promote the finality of its acts and decisions. In parliamentary systems and presidential systems of government, primary legislation and secondary legislation, the latter also called delegated legislation or subordinate legislation, are two forms of law, created respectively by the legislative and executive branches of government. Primary legislation generally consists of statutes, also known as 'acts', that set out broad outlines and principles, but delegate specific authority to an executive branch to make more specific laws under the aegis of the principal act. The executive branch can then issue secondary legislation, creating legally-enforceable regulations and the procedures for implementing them.